Thanks to Tense for sponsoring this post! Before we do anything else today, we need to have a moment of silence. Oh you’re wondering why we were having a moment of silence? Because this is my first Holiday post of course ha! Which means the Holidays are officially upon us. I, of course, am not complaining. In recent years, David and I have really simplified the way we give gifts to each other. Especially now that we have our girls, we keep our individual gifting to a minimum. We even thought about not buying each other gifts, but then we realized it’s good for our girls to see mom and dad thinking of each other in that way. So now we just do one gift, and we make sure it’s something that the other person will really use or love. 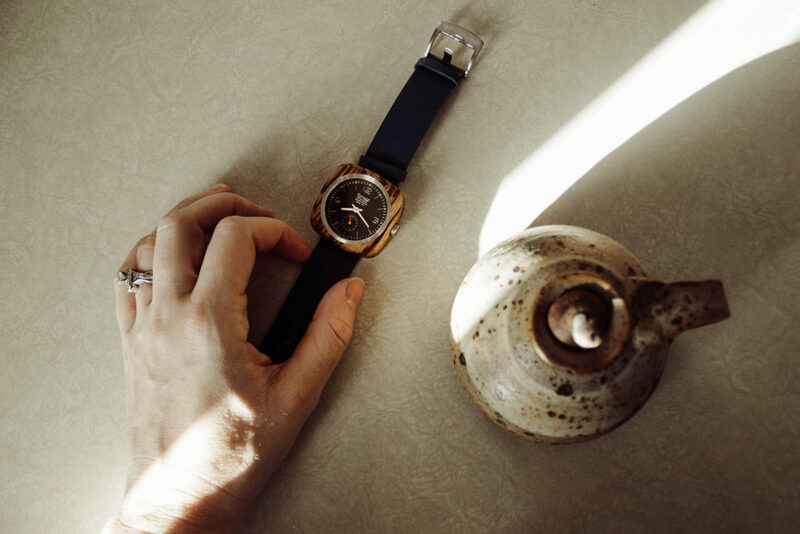 And a gift that immediately comes to mind as being both practical and for pleasure is a watch. I’ve actually been on the hunt for the perfect watch for awhile now. I had a bunch of cheap costume watches during the whole boyfriend watch trend circa 2010, which I liked well enough at the time. But they all broke after a year or two because, well, they were cheap. Then I tried the vintage tiny watch train for awhile, but quickly realized it didn’t suit my style. That was about five years ago and I’ve pretty much just gone without a watch since then. and in the last six months or so I’ve really been drawn to wood jewelry. It speaks to the outdoorsy part of me, and fills that craving for simple, stand alone pieces. 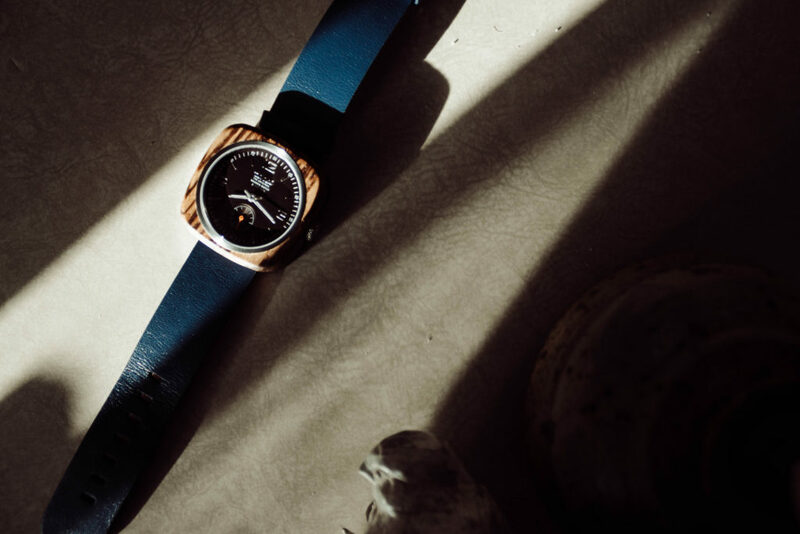 They make wood watches that are simple, earthy, bold, and they are made from 100% recycled or reclaimed wood and manufactured by hand in their Vancouver workshop (learn more here). This is the watch I’ve been dreaming of. I chose the Robson watch because of it’s unique design. 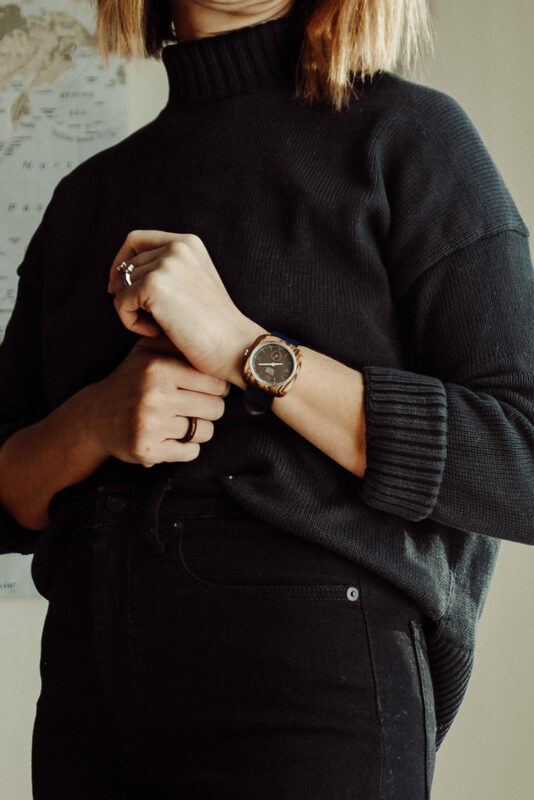 I love the square watch face with it’s round dial, and the leather navy wristband goes with everything in my closet (the particular color combo I have is Karri/Blue and it retails for $189.99 USD + free shipping in the U.S. & Canada). 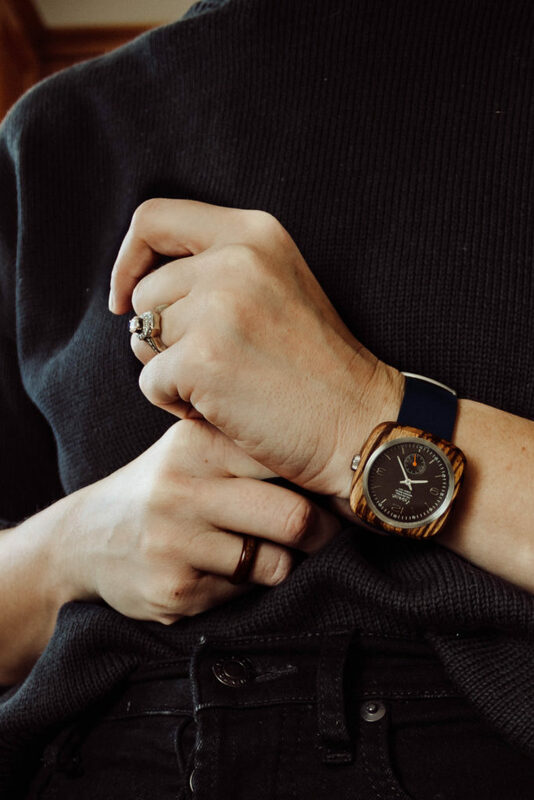 The black oak watch face has a nice weight to it (which reveals it’s high quality craftmanship) so it doesn’t move around on your wrist, but it’s light enough that it’s comfortable to wear all day. And I love the adjustable band… I actually have pretty tiny wrists and struggle with finding watch bands that fit… this one does. Also, the watch is hypoallergenic, which is actually a big deal to me as my highly sensitive skin usually reacts to watch bands. I’ve had no issues with this one. 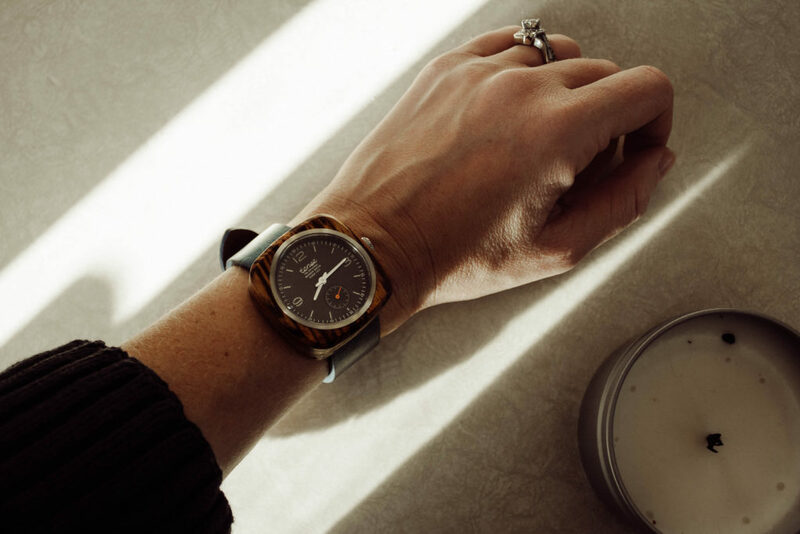 I’m really pleased with this watch, and if the price range suits your budget I would highly recommend it for Holiday gifting (you can make it extra special by adding engraving for $15). If you want to take a look at their other offers, Tense just released a holiday look book which you can access here.